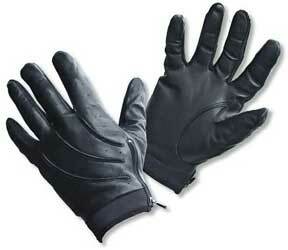 These long wearing yet economical patrolman's gloves are the ultimate Police Glove. Spandex inserts feature in these law enforcement gloves providing a contoured fit with essential breathability. The patrol glove has a secure sturdy and comfortable fit ensured with the zipper closure.